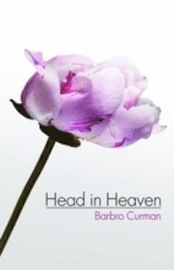 Head in Heaven av Barbro Curman - Provläs boken gratis online! You have to get used to this!" I heard a voice say. I trembled as I experienced a presence at the right side of my dinner table. I managed to stay put, playing the guest-just-having-a-dinner role. I more or less rushed to my room when dinner was over. "What is this?" I thought. "You have to get used to this!" I heard again. Then I got a peaceful, personal explanation of how this cooperation will be done; me in a physical body on Earth and he being on the other side bringing higher frequencies and wider perspectives. It was now the third time the voice said: "You have to get used to this!" This time my answer came from all of me, clearly and determined. "Yes!!!"